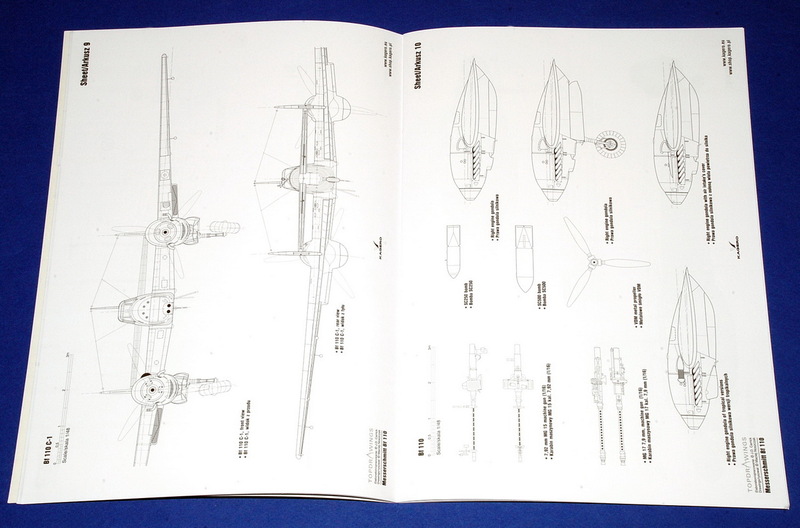 Kagero Publishing continue to release many interesting books in their highly successful and popular “TopDrawings” series. 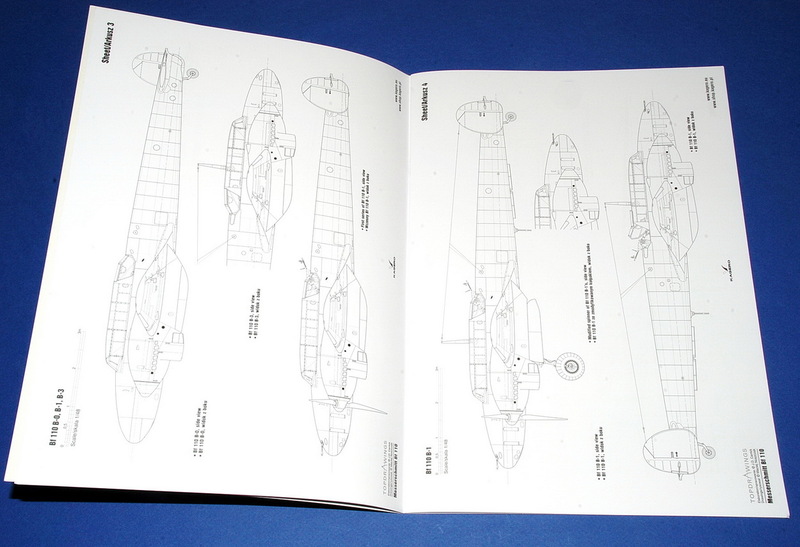 These books provide scale drawings of the aircraft components, as well as large colour plates/profiles, and are great looking reference books for modelers at an affordable price. 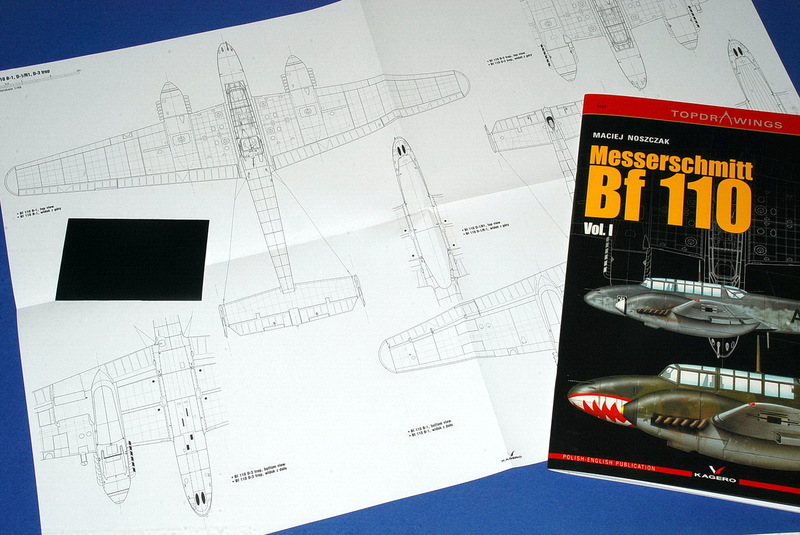 Number 57 in this series is about the famous Luftwaffe fighter-bomber Messerschmitt Bf110 of WW2. 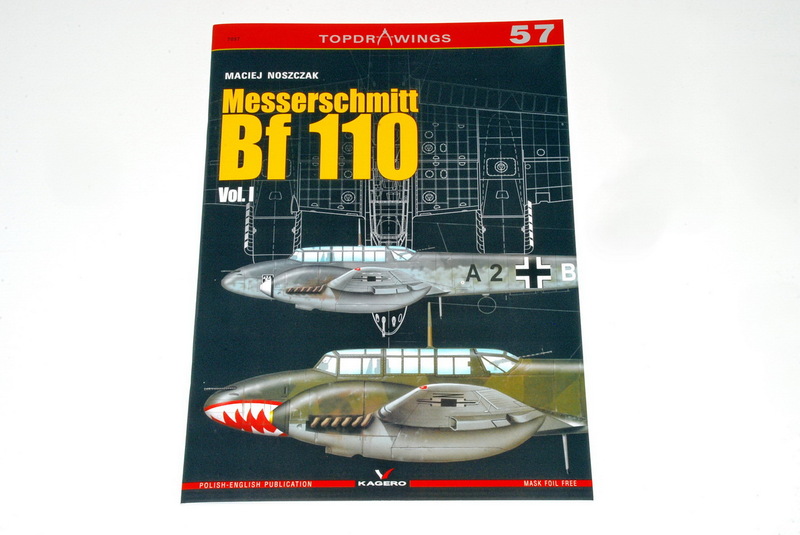 This 24 page soft cover book provides pages of excellent 1/48 & 1/72 scale plans, by Maciej Noszczak, for the different “V, A, B, C and D” variants (Volume I) of this famous aircraft. Subsequent variants will be covered in following volumes accordingly. 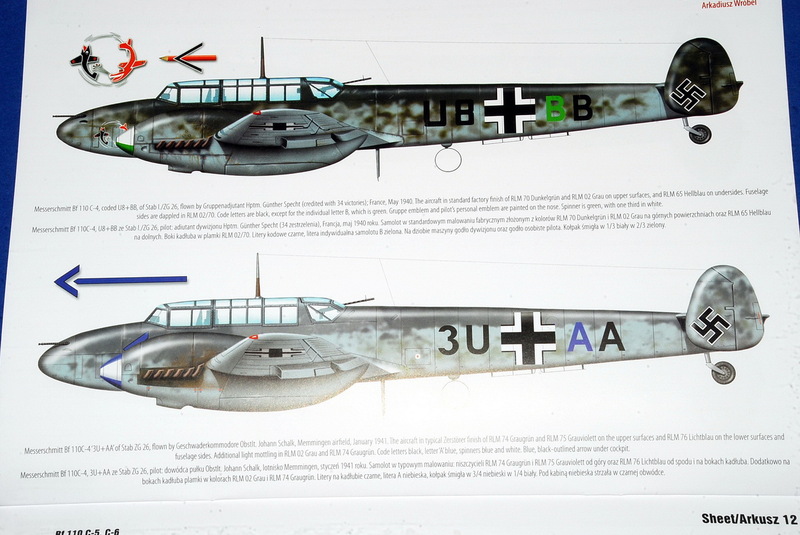 An introductory text gives us a basic background to the aircraft, and this is presented in both English and Polish. 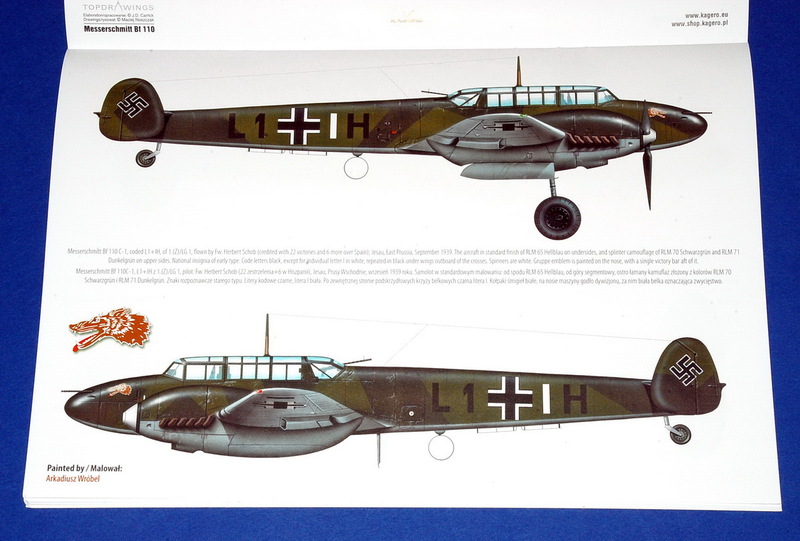 As well as the selection of scale plans, the back cover and the centre pages present ten (10) big realistic colour profiles (two profiles arranged in each page), with excellent artwork by Arkadiusz Wrobel, which illustrate a mix of colours and markings, for aircraft serving with the Luftwaffe. 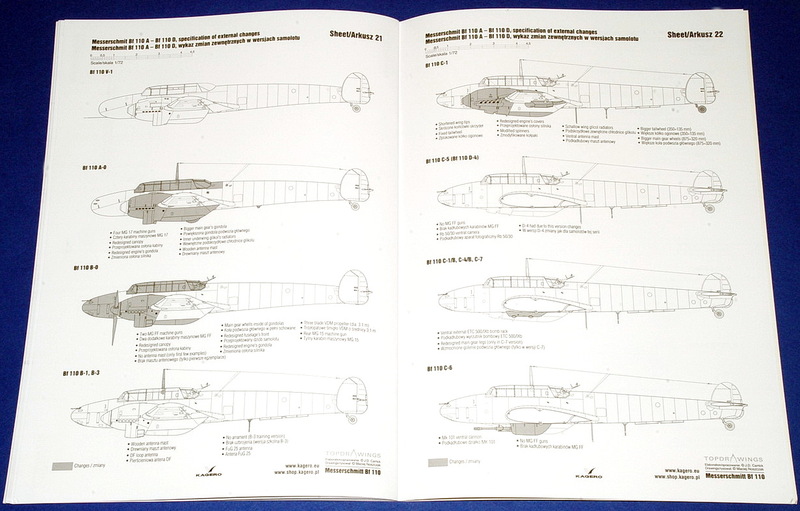 All main early variants are covered, from the early V-1/A-0 to the B-2 & B-3, C and up to D-3 Tropical. 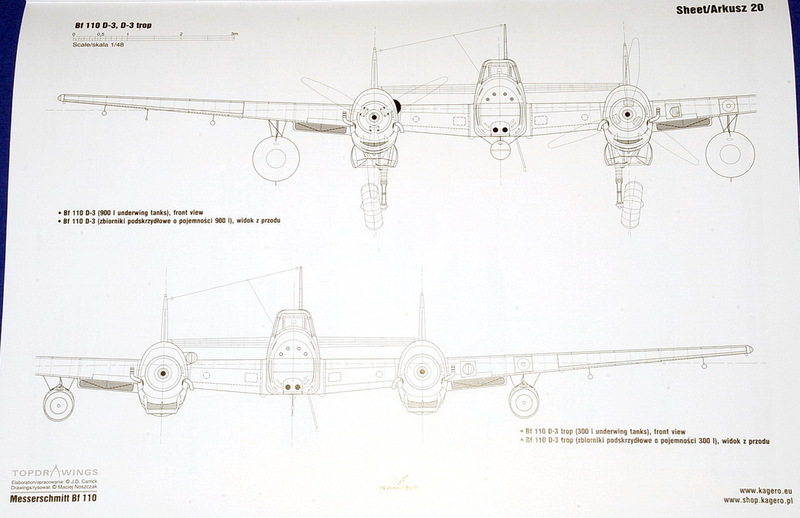 Some of the drawings show close-ups of the engines and side views of fuselage without the engines and wing for clarity. 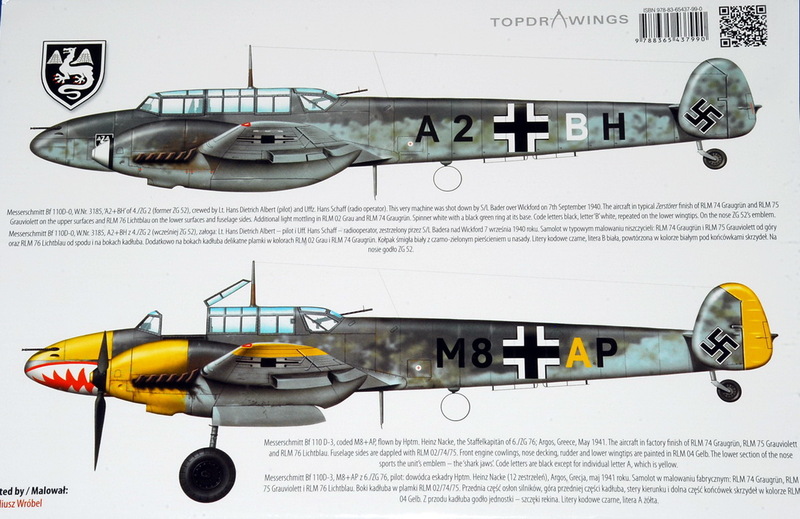 As a bonus there is a separate A3 size sheet with top & bottom views of B-1, D-1/R-1, D-3 Tropical and main C variants plus a set of black vinyl self-adhesive masks for use when airbrushing the canopy - in both 1/72 & 1/48 scale (see photos). 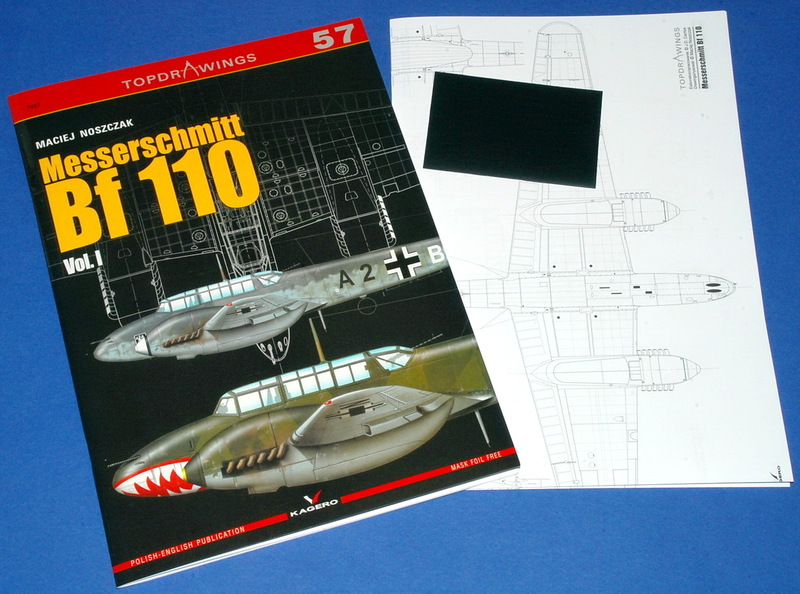 All in all a highly recommended book, which will help you a lot when building/superdetailing/riveting a scale model of the Bf110B/C/D. 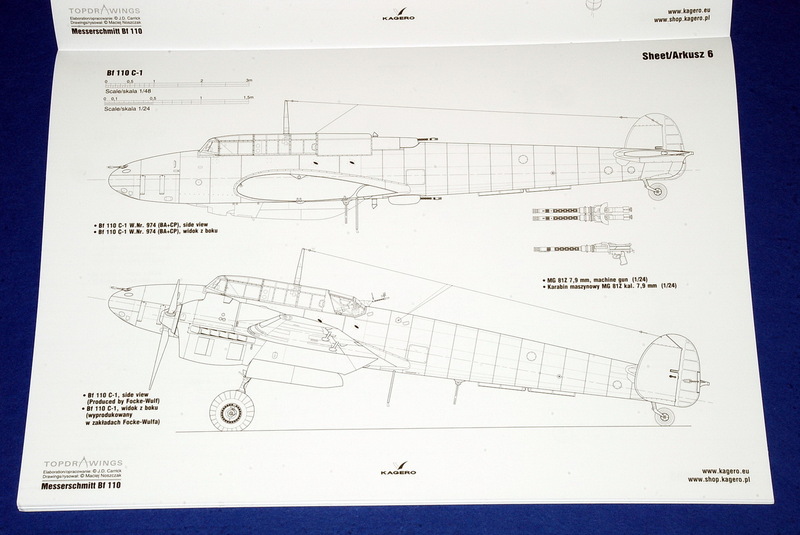 You can even check the accuracy (or inaccuracies!) 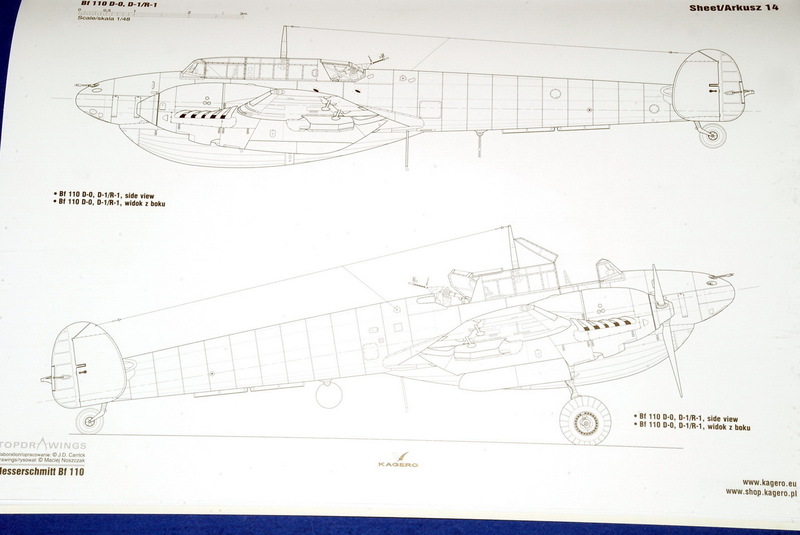 of your kits against these superb scale drawings. 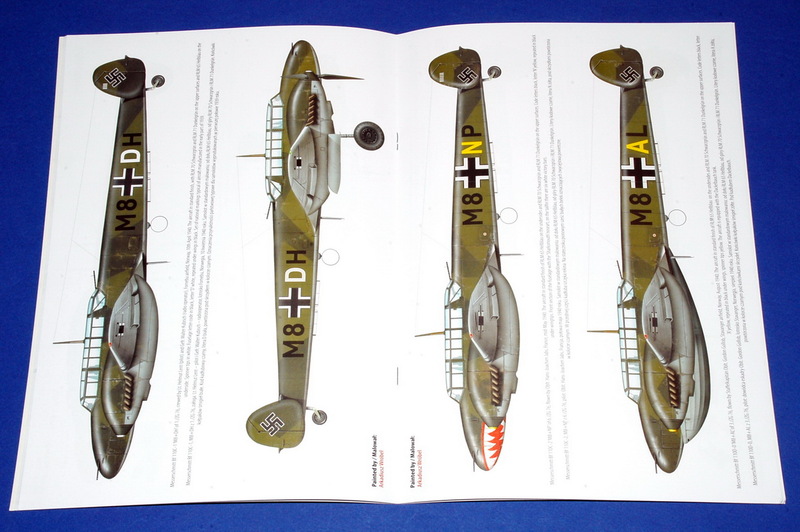 You can order the Bf110 TopDrawings No.57 book here and here.